Whereas post-war geopolitics was shaped by Cold War rivalries and its trading systems, financial institutions, and defined ideological borders, political risk today is not limited to rogue dictators seizing industries for a domestic agenda. National governments, through new policy-making and diplomacy, still play a large role in a company’s political risk strategy. 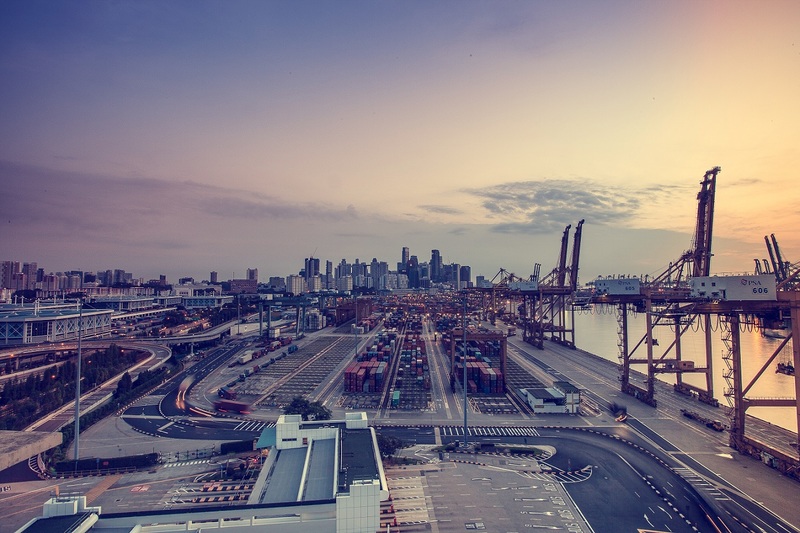 However, with a vastly interconnected global economy, national governments and multinational corporations have a similar aversion to uncertainty. A great deal of political risk today comes from non-traditional actors who have gained outsized influence over business. In addition to “individuals wielding cell phones, local officials issuing city ordinances, terrorists detonating truck bombs, [and] UN officials administering sanctions,” Rice and Zegart identify a crowded, uncertain political landscape is also filled with “rising states, declining states, failed states, rogue states, and nonstate actors like terrorist groups and cybercriminals.” The neat lines drawn by superpower rivalry between the United States and the Soviet Union are a thing of the past, leaving a situation where seemingly anyone and everyone can cause disruption to national politics and business strategy. When any global citizen can cause a multinational corporation’s stock to plummet millions of dollars in value thanks to a viral video captured on their smartphone, it is imperative that companies maintain solutions to uncertainty. The framework provided by Rice and Zegart is a great place to start for organizations that have experienced a “near miss” or are worried about the 21st-century risk landscape. Effectively understanding, analyzing, responding to, and mitigating political risk is no longer just the work of an organization’s security leadership. From the C-suite to middle management and all the way down to sales reps, all personnel within a company now have a responsibility to understand political risk within their area of work, know the internal protocols for responding to potential threats, and mitigate risk quickly. Rice and Zegart rightly note that “companies on the front lines of managing global political risk often create in-house threat-assessment units staffed with former intelligence and law enforcement professionals who track political developments in real time.” Given that few organizations have the capacity to staff and operate their own threat-assessment units, it is now common practice to outsource these professional risk management operations to companies with deep knowledge of global political threats and unsurpassed experience in risk management and mitigation. At TigerSwan, our Global Security Operations Center (GSOC) is dedicated to helping organizations navigate political risk. Our Watch Officers are crisis management experts with backgrounds in global combat leadership, law enforcement, military intelligence, and asymmetric threat mitigation. By leveraging the TigerSwan GSOC, organizations are in effect hiring a risk management framework. Scenario planning exercises and threat assessments, like Red Team exercises, find vulnerabilities and hidden risks in existing company response protocols. Our GuardianAngel Platform uses advanced visual analytics to analyze information from a multitude of data streams to optimize risk analysis, developing ways of understanding key drivers of risk in order to anticipate them. Once risk is understood and analyzed, our teams program the GuardianAngel Platform to constantly monitor a wide range of information sources for events that could initiate risk management protocols. When specific conditions are met, protocols are triggered automatically and each stakeholder within the organization can begin to execute their clear, pre-arranged steps for mitigating the impact of the threat. Responding to threats is the most difficult part of the mission. In today’s fast-paced, technology-driven, globally-dispersed business environment, the failure to appropriately respond to a threat can leave lives in danger and a company’s brand reputation in peril. TigerSwan’s capacity for worldwide response means that no matter where a crisis situation erupts, our team is prepared to provide a solution to the uncertainty of the moment. With local partnerships in over 50 countries around the globe, our response capability means that your personnel and other valuable assets will always remain within reach. 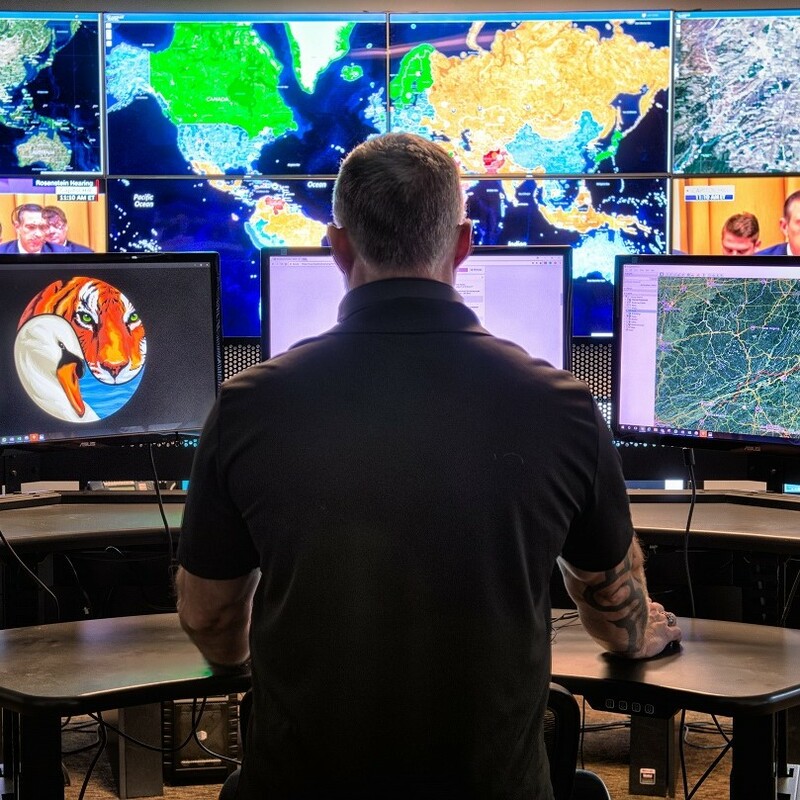 At its core, TigerSwan’s GSOC provides the contextual awareness, executive visibility, and actionable intelligence required to more effectively anticipate, manage, and mitigate risk in all forms. 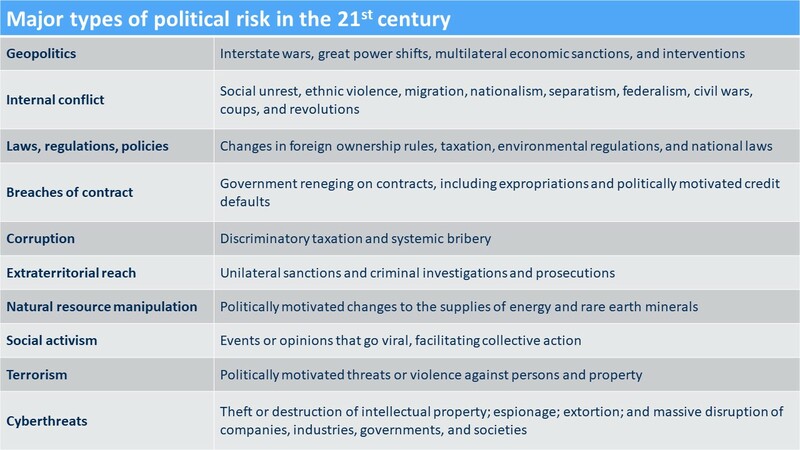 The political risk faced by organizations in the 21st century is fundamentally different than in the past. Equipping your company with the right framework for addressing such risk to your organizational stability is only step one. Real risk management takes constant preparedness, meaningful experience, and unrelenting scrutiny of existing protocols. TigerSwan is a company that has proven time and again that today’s political risk landscape requires one thing: Solutions to Uncertainty.